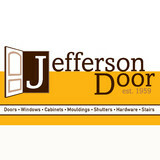 Jefferson Door Company is a family owned full-service millwork company in Harvey, LA; and has been serving the greater New Orleans area for over 50 years. Our product line includes interior and exterior doors, windows, columns, moulding, cabinets, stair parts, and hardware. Your home is one of the biggest investments you’ll ever make—that’s why when you’re spending the time and money in upgrades, you need simply the best. We aren’t your average window company. We pride ourselves in offering the highest quality products at prices customers can afford, and our products and services have earned several awards and accreditations that attest to our commitment to a customer-first mentality. Schedule your free in-home estimate today! 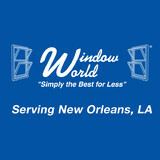 Since 1998 Amazing Windows & Doors is Louisiana’s Largest Window & Door Distributor! Your residential window and door supplier and design showroom. Northlake Garage Door prides itself on offering first-rate service, along with over 18 years of experience in garage door installation. We are select vendors for Wayne Dalton, LiftMaster, Amarr, Genie and Clopay Garage Door systems. This gives you hundreds of possibilities to match the exterior of your home building or renovating project! Our owner works hands-on to ensure each garage door we install meets the highest standards. Our technicians are trained to apply their skills for a positive garage door installation experience, and our trucks are equipped with tools needed to get the job done right. Northlake Garage Door is also a member of the International Door Association and Better Business Bureau. America's Best Choice was founded by window industry veterans whose mission is to provide customers with the best value and best service in the vinyl window replacement industry. At America's Best Choice, our industry professionals have partnered with leading window manufacturers throughout the United States to bring homeowners exceptionable quality, exceptionable prices and energy efficient products that will save you money. America's Best Choice is one of the fastest growing window companies in the United States. Our independently owned and operated locations ensure that each homeowner receives local attention to ensure a great sale and service experience. Each of our independently owned locations receive extensive training, keeping them up to date with the most recent regulations and technical advances in materials and techniques. Shutter Up is a fully insured company offering quality shutters and security solutions. We are a state licensed commercial and residential general contractor that can help you prepare for the next storm. Owner, Terry Cockerham, established Service Glass Of New Orleans in 1988 to service the glass needs of New Orleans and the surrounding areas. He saw the need for a company that would not only provide quality service, but be a provider of top-of-the-line products at competitive prices for residential clients. Locally owned and operated, Service Glass Of New Orleans is licensed and boasts of a crew of experienced and skilled technicians ready and willing to serve you. Our technicians are professional and capable of working in any environment and under any situation. Our company has developed a reputation of exceptional customer service; therefore, we make it our mission to satisfy every client. There is no job that we cannot do. Whether you need us to supply mirrors for your apartment complex, repair or replace windows in your home, or provide high-rise or store-front glass, Service Glass Of New Orleans is ready to get to work for you. Call us today for a free estimate. Screenmobile of Gulfport, MS is the local area's best choice for installing or repairing all your window, door and enclosure screens. Local owned by longtime Gulfport residents. We are 100% mobile and provide the highest quality screening materials for our customers. Part of the nations largest mobile screening company - Screenmobile. With over 100 locations nationwide Screenmobile has the ability to tackle any project regardless of size. Our expertise is enclosing patios and porches, custom window and door screens and security screen doors. Give us a call and allow us to help with all of your screening needs. When it comes to Windows, Hurricane Shutters and Home Remodeling, no one compares to Allstate Window & Siding. With years of combined experience, Allstate Window & Siding has worked hard to build the trust of our clients in Kenner, New Orleans and Metairie and beyond. Visit our website to learn more. Or better yet, click the link and call us today! One of the oldest glass company in the Southern Louisiana area, this family business began in 1955 when James Knight, step-father of current owner Richard Ducote, started his small glazing business and ran it out of a small corner shop here in Slidell, Louisiana. Over the years, the business grew and moved to the current location on Nassau Drive. Today, with two buildings and nearly 7000 square feet of shop and office space and numerous trucks, Slidell Glass can handle just about any job you've got - large or small. As a youth, Richard began working with James to learn the necessary skills and finally took over the business in 2002 when he incorporated as Slidell Glass, Inc. It was only three years later that hurricane Katrina hit the area. Over six feet of water filled the buildings and destroyed everything from furniture to computers, tools, trucks and drywall. With the help of a group of dedicated employees, Richard rebuilt his glass busines from scratch and helped to rebuild New Orleans and this devastated area in the process. Today, Slidell Glass, Inc. continues to employ some of the most experienced glazers in the business. 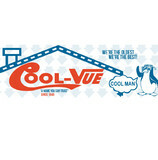 We are proud of our hard work and dedication to our craft and look forward to serving our customers for years to come. Slidell Glass works to maximize our value by using the best glass components, mirrors and installation equipment to ensure the highest return on your investment. Locally Owned & Operated, Ameri Glass Specializes in all your Glass & Mirror needs Family owned business since 2005. Prompt - Reliable - Reasonable - Free Estimates - Service after the sale We do our best to teach our children We believe in treating Your Home or Business like our own & ourselves a strong work ethic, Godly morals & values. We support the church, Work at it with all your heart, as working for the Lord! our troops & local business. MaxHome is proud to be a leading home improvement company serving residents throughout the Houston, New Orleans, and Baton Rouge areas. Whether you’re building a new Pearlington home, remodeling an old one or just replacing a few windows that are past their prime, your window dealer in Pearlington, MS will help you pick the right windows for your needs, home style and budget. Windows come in so many sizes and types that expert advice and direction is invaluable in helping you make the best decision. These pros can also help you with custom window designs that complement your space better than something ready-made. Lastly, if you are interested in doors with windows, these experts are also knowledgeable about sliding doors, French doors and other paned portals. Find a window dealer on Houzz. Narrow your search in the Professionals section of the website to Pearlington, MS window dealers. 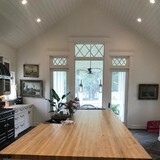 You can also look through Pearlington, MS photos to find examples of windows that you like, then contact the window professional who worked on them.